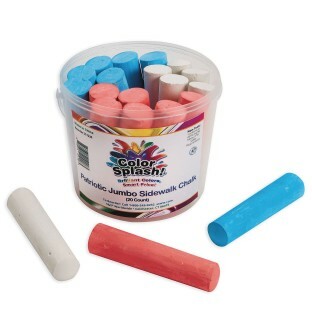 Red, white, and blue sidewalk chalk for creating bold patriotic sidewalk masterpieces. Large, chunky sticks are easy to hold and won’t break easily. Sticks measure 4”L x 1” diameter. 20 pieces in a convenient, portable storage bucket.